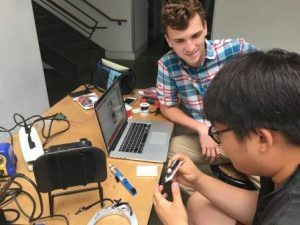 March, 2019 Yonkers, NY – Whether its in filmmaking, creative writing, social justice or therapeutic game design, Sarah Lawrence College is offering a wide range of pre-college summer programs in the summer of 2019 that will allow high school students to explore their interests and prepare for college. “Our programs are taught by Sarah Lawrence faculty and distinguished guest faculty, providing an introduction to college-level academics, and allowing students to pursue areas of study that they are passionate about,” said Kodiak A. Trauger, Director of Summer and Professional Programs. Students can live on campus or commute to class for most courses, offering them flexibility and a taste of the college experience. A meal plan is available and students also have use of the college library, pool and squash courts. This entry was posted in Press Releases and tagged high school summer programs. Bookmark the permalink.